The Pentagon chief put Russia on par with North Korea when he spoke about threats faced by the US and its allies, and the need to invest billions into refreshing NATO’s nuclear playbook to integrate conventional and unconventional deterrence methods. Addressing US servicemen, missile units and B-52 crews at Minot Base, Defense Secretary Ash Carter stated that the US and its allies had not built any new nuclear weapons or delivery systems in the last 25 years – and said that American nuclear forces must be ready to engage in a possible nuclear confrontation with Russia. “Russia has long been a nuclear power, but Moscow’s recent saber-rattling and building of new nuclear weapons systems raises serious questions about its leaders’ commitment to strategic stability, their regard for long-established accords of using nuclear weapons and whether they respect the profound caution that Cold War era leaders showed in respect to brandishing their nuclear weapons,” the Pentagon chief claimed. Brushing aside the fact that so far the US remains the only country that has ever used nuclear weapons against another state, Carter said that a “diverse and dynamic spectrum” of nuclear threats in the world could prompt some nations to use these weapons on a smaller scale. In addition to tensions with Russia, Carter referred to the North Korean threat a few times during his speech, implying that Washington must be ready to support its allies in Asia in face of continued Pyongyang’s disobedience to UN Security Council resolutions and ongoing nuclear and delivery methods tests. “The confidence that you’re ready to respond is what stops potential adversaries from using nuclear weapons against the United States or our allies in the first place,” he said, adding that the Pentagon plans to invest $108 billion over the next five years to sustain and improve its nuclear force. The investment is aimed at modernizing the nuclear triad of the US strategic posture which includes land-based ICBMs, nuclear bombers, and submarine-launched atomic missiles. According to the Congressional Budget Office, the US could spend up to $348 billion through 2024 modernizing every component of the US nuclear triad. 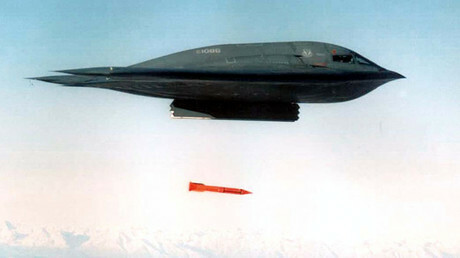 At present US nuclear weapons can be delivered for a strike on potential targets using 20-year-old B-2 stealth bombers or 50-year-old B-52 strategic bombers. From sea missiles could be deployed from a 35-year-old Ohio-class nuclear submarines. 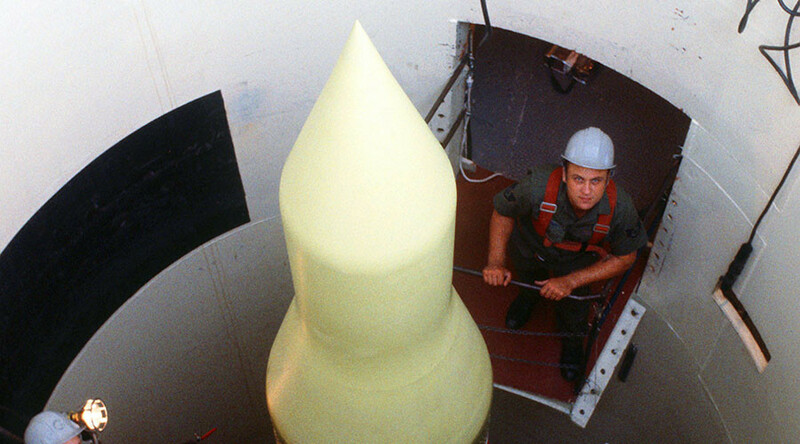 Meanwhile, silo-launched Minuteman III ballistic missiles are in service since 1970s. “If we don’t replace these systems, quite simply they will age even more, and become unsafe, unreliable, and ineffective. The fact is, most of our nuclear weapon delivery systems have already been extended decades beyond their original expected service lives,” Carter said. Although nuclear weapons have only been used twice in warfare during the US strikes of Hiroshima and Nagasaki in 1945, the UN estimates that some 22,000 of world’s deadliest warheads remain on the planet today. To limit the use of atomic weapons, a number of multilateral treaties have been set up to prevent nuclear proliferation and promote disarmament. These include but are not limited to the Treaty on the Non-Proliferation of Nuclear Weapons (NPT), the Treaty Banning Nuclear Weapon Tests In The Atmosphere, and the Comprehensive Nuclear-Test-Ban Treaty (CTBT). As bilateral US-Russian tensions remain at an old-time high since the end of the Cold War, on Friday Vitaly Churkin, Russian ambassador to the UN, called on the next president of the United States that will assume office next year to ratify the CTBT, already ratified by Moscow. In terms of the bilateral US-Russian nuclear relations, its conduct is enshrined in the New START (Strategic Arms Reduction Treaty). Signed in April 2010 in Prague, the agreement entered into force in February 2011 and is expected to last at least until 2021. Under terms of the agreement, the number of strategic nuclear missile launchers in both countries will be reduced by half. The treaty limits the number of simultaneously deployed strategic nuclear warheads to 1,550. The treaty, however, does not limit the number of operationally inactive stockpiled nuclear warheads that remain in both the Russia and the US.